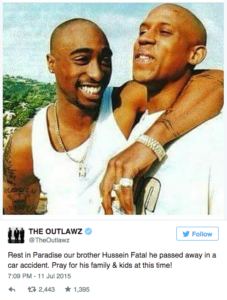 Rapper Hussein Fatal, best known as a member of the Tupac Shakur-led rap group The Outlawz, died in a car accident on Saturday, July 11. He was 38. 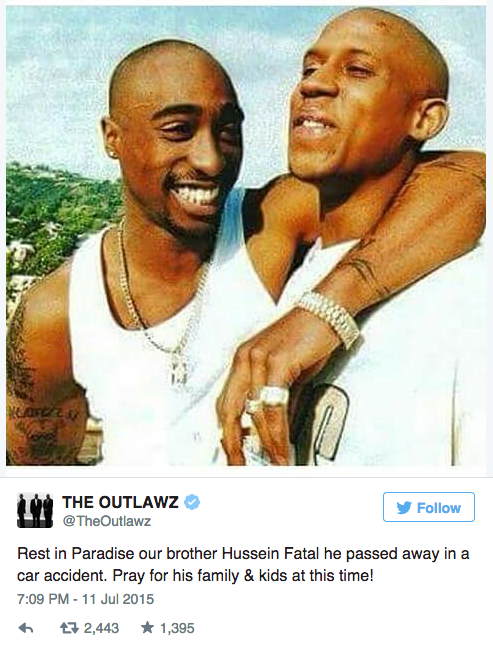 The Outlawz confirmed the rapper’s death on social media Sunday. Further details of Fatal’s (real name: Bruce Washington Jr.) death have not been released. “God called anuther soldier home! Rest in Paradise our brother Hussein Fatal he passed away in a car accident! Pray for his family & kids at this time!” The Outlawz wrote on Facebook. The Outlawz went on to release numerous albums following Tupac’s death in 1996, including their last release, Perfect Timing, in 2011. Outlawz member Mutah “Napoleon” Beale also paid tribute to his fallen friend on Facebook. 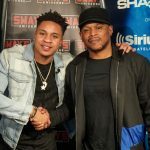 Fatal and Napoleon converted to Islam during their time with Tupac in the ’90s, Complex reports. “From Allah we belong to Allah we return it is confirmed our brother hussein fatal member of the outlawz returned to Allah last night due to a car accident. Our brother fatal did accept islam and We ask Allah to have mercy on him. He was my old group member and friend for over 20 years and he will be missed. Death comes sudden with out warning and we ask Allah to give us a good ending,” he wrote. 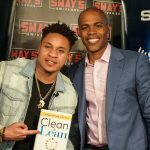 Our whole Sway’s Universe team send our respect and condolences to Hussein Fatal and his family and friends. 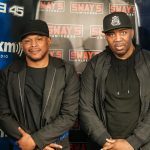 Watch Sway’s 2011 interview with The Outlawz below.